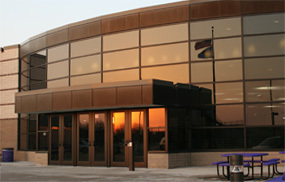 The Friends of Waunakee Performing Arts was formed in January 2008. A group of arts aficionados wanted to seize an opportunity to unite and enrich the arts community in Waunakee. With our beautiful performing arts center as our home, we developed a vision for the facility and its artists. Our goal is to expand the fine arts opportunities in the Waunakee community. Please consider becoming a member and help our dream become a reality. Get more information about becoming a FWPA member or supporting our cause with a financial contribution here. 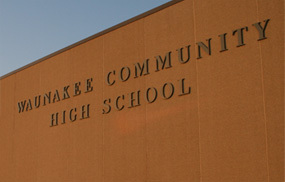 The PAC is located on Waunakee HS's campus. enrichment to the Waunakee community area.